Happy Sunday! I am so glad you could stop by. I missed last week, but am back again today with February's TBR List Poll, which I hope you will take part in. I will post the winner next Sunday. How is your week going? What are you reading at the moment? I hope you all have a great week. Happy Reading! My husband may not be as obsessive passionate when it comes to books and reading as I am, but he does enjoy it. I credit him with getting me interested in graphic novels, fantasy and science fiction. He patiently listens to me when I need to talk about the books I am reading, maybe a rant or just to share a funny passage or even to debrief after finishing one. I cannot imagine being with someone who doesn't accept and understand my passion for reading. Our love of books and writing is what initially brought us together in the first place. What I Am Reading: I gave into my craving for a dragon story recently and read a novella by Sasha L. Miller called Slaying Dragons. I have a couple others I may pick up soon to read as well. I have just started reading The Chosen One by Carol Lynch Williams, which seems a fitting read after finishing The Girl in the Red Coat by Kate Hamer for not so obvious reasons. I had a moment of déjà vu as I began reading The Girl in the Red Coat last week. Hadn't I just read a book featuring a single mom with an eight-year-old missing child? (My review of the book, What She Knew by Gilly Macmillan, which many of you voted for last month, will go up tomorrow.) It was different enough, however; although, I have to say, Hamer's book got under my skin more. I will not be letting my daughter out of my sight for a long while. I am also thinking I should lay off the missing children books for the time being . . .
What I Am Listening To: I turned on Carsick: John Waters Hitchhikes Across America written and narrated by John Waters this past Friday as I cleaned the house. What better way to pass the time than listening to an audiobook? I admit I am not a huge fan of his work, although I do love Hairspray, and have seen a couple of his other films. What's Going On Off the Blog: We have had such nice weather as of late. 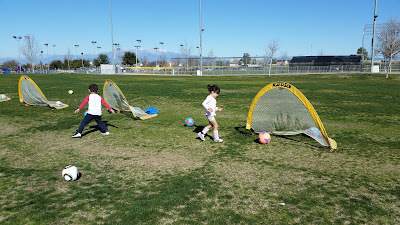 Very little rain, which is not so good, but still good weather to kick off Mouse's first day back to playing soccer. She was happy to see her coaches from this past summer again, and she even made a new friend. The two girls played in the park for awhile after the class. I got to be the friendly shark who scared off the mean sharks. We took apart Mouse's toddler bed and set up her big girl bed. It's a full size bed--one of those convertible crib-to-toddler-to-full-size beds that we'd gotten Mouse before she was born. It looks so big in her room! I only ever had a twin size growing up. She's so tiny compared to the bed. In another month I will be registering Mouse for kindergarten. I am not ready to think about it. My husband's second week of work went well, His car wouldn't start one day, and he needed to have the battery replaced. Luckily he was not too late getting to work. I had gotten a nail in my tire the week before. What's In a Name? Reading Challenge ~ I am happy to say I have met one of the requirements for this challenge finally! I recently read A Girl in a Red Coat by Kate Hamer, marking off a title containing an item of clothing. Nonfiction Challenge ~ I hope to fit a nonfiction book in soon. It has not happened yet. 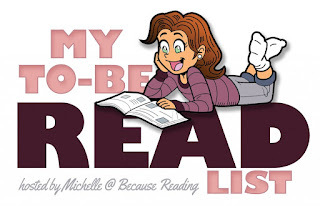 COYER ~ I have read 10 books that qualify for the Clean Out Your E-Reads Challenge. I am really pleased with my progress so far. I have even linked my reviews to the challenge site--at least the ones that I have posted so far. The TBR Triple Dog Dare ~ I am doing well here too, sticking only to review books I received before January 1st. FitReaders ~ I wish I could say I was doing outstanding with this one. I have managed to get in regular workouts four times a week for the last couple weeks, which isn't quite what I was hoping for. I haven't been feeling well some of the time, unfortunately. I always feel a bit inadequate posting my updates for this one, given I don't have a Fitbit to refer to. Since my workouts are more aerobic, a Fitbit would be pointless anyway. I managed one three mile workout, but mostly have been doing the two and a half mile workouts. My goal is to get to five workouts a week. Hopefully this week will be the week I manage it. 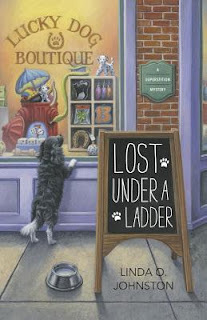 Lost Under a Ladder by Linda O. Johnston ~ Superstitions are a way of life in the small town of Destiny, where the heroine takes a job in a pet store. Then comes murder and an innocent woman is blamed. Delia's Shadow by Jaime Lee Moyer ~ Described as "A dark, romantic fantasy set against the backdrop of San Francisco devastated by the Great Quake". I started to pick this one up to read multiple times, but just never managed it. Will this month be the month? 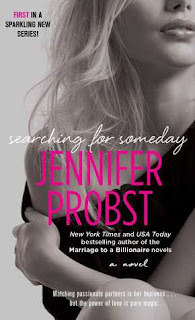 Searching for Someday by Jennifer Probst ~ A contemporary romance about a woman running a dating service who is able to see romantic connections between people. Will our heroine be able to prove to her latest client she's not a scam artist? It's always a good time for a dragon story. :) Hope it was good. I hate getting nails in a tire- it's happened to me a few times. Aggravating! Greg - I agree about dragon stories. :-) I did enjoy it. I wish there was more as I quite liked the two protagonists. My reading has slowed down some too. Or rather I wish I was reading more than I am. :-( It's partly my fault. I haven't been getting in as much reading as I probably could. I hope you enjoy your week too! Love the soccer pic - very cute and I'm glad the weather was good. And I know what you mean about books with a certain theme. I've just read a stack of books featuring twins. And the 'child disappearing years before' thing is a popular theme isn't it! Deborah - It's supposed to be a very wet next couple of months, and so this unexpected "heat wave" has been nice. Haha! I know what you mean about thos serial killers. ;-) Certain books just call to you. I those beds too for my daughters, it felt weird transforming it, like the girls are growing up too fast... Oh yes, cars and garage and bills - we've had both our cars mended last month, ouch ! 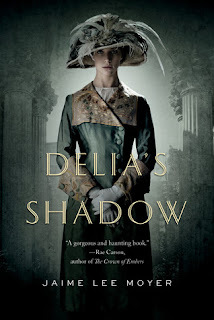 I haven't read any of the books you show but heard of them - Delia's shadow looks good ? And so did the Jennifer Probst. I'm lazily waiting for you to read them to know if I'll finally read them too, no pressure ^^ Have a great week-end ! Iza - The bed turned out very nicely--it's so big! The convertible beds seem like such a good investment, don't they? Hopefully she'll get good use out of it. Wendy!! Glad to see you. I always love hearing about your world. Glad your husband's job has started well enough, even with the battery issue. And yes, moving to big beds and kindergarten - well, girls will grow up. Hugs to you on that. I think you are doing very well with your workout plans. I know - you didn't do it 5 times a week - but....one day at a time and slow and steady wins the race. Four times a week is marvelous and more than you did before, right? So A+ for you - truly. Hope you upcoming week is good with some great reading and fun family times. Kay - He felt so terrible going in late so early into his new job. It was such bad timing. Everyone seemed understanding though. Mouse is exerting her independence in mnay ways, often small ways. I'm so proud of her and worried for her too. Thank you for the encouragement with the exercising. You are right. I'm doing much more than I was, and that's something. Oh my gosh, I can't believe Mouse will be in kindergarten in the fall. Where has the time gone? I come from a family of readers and thought everyone read until I married a non-reader. Carl will pick up a book every once in a while but not often. Kathy - I can't believe it either. We were watchind videos of her as a baby and toddler last night and what a difference! I chose Delia's Shadow because I keep looking at those too! Shaunesay - I saw a review of the third book in the trilogy the other day and it reminded me how much I wanted to read this first one. It sure does sound good! I'm dreading registering the Tornado for 1st grade. He's stayed at his private school for kindergarten because there's a half day but next year he'll be at the regular school and I'm not ready! Car stuff does seem to happen all at once but I'm glad everything was reasonably fixable. Sounds like Mouse is loving soccer. Have a great week! Katherine - It's a huge transition for them, isn't it? I can understand your reservations. One of the reasons I decided to have Mouse attend Kindergarten at our area school instead of the one near her current school and daycare is because it's full-day. Unfortunately, it means more change all at once. They have an afterschool program. I'm so nervous for her. She'll probably do fine. She really seems to enjoy soccer. I wasn't too happy with the tumble and dance class she took this fall and winter, and I don't think she was either. We may try another one down the road, but for now she wants to play soccer. I hope you have a great week! Kindergarten--I'm in major denial! How did our little girls get to be so big?? Elle has a full in her room and we love it because all of us (yes, all five of us now!) crowd into her bed to read books before bed. So there's that to look forward to! ;) (I always had a twin...until I was a junior in college). And missing children...nope! I've found that there are certain shows/subjects I just can't broach now that I'm a mother. Too scary! Have a great week Wendy! Trish - I don't want to think about it either. It's too soon! I can see us making the most of her having a full-size bed too. :-) We were playing dolls earlier, the bed being the castle. She likes to put her dolls in mortal danger a lot . . . I wonder if I should worry about that. I don't know why I torture myself with books like that. My poor daughter. As if my work wasn't enough of a cause for me to be overprotective. I realized recently that I've been reading a lot of missing children stories, too. I have The Girl in the Red Coat on my list, too...and so far, each book has been different enough that I'm fully engaging. But is this trend a little frightening? As for what you should read next: I love a good cozy, but I had to vote for Searching for Someday. Laurel-Rain - I can think of several others I have on my shelf with a similar theme. Thank goodness they are all so different. I'll be curious to know what you think of The Girl in the Red Coat when you get to it. I enjoyed Delia's Shadow and have been meaning to get to the next book for...nearly 3 years?! Jenclair - I hadn't even realized there were three out already. I really need to read the first one. I still get excited about reading it when I come across it. I'm not sure why I haven't yet. I wish we could stop time for a bit, because it goes WAY too fast. All the sudden my grandchildren are entering elementary school!! They're too little. OH... we got 2 episodes of DR. Who before they stopped streaming. We have a lot of catch up to do, but I did put the disc in my queue. 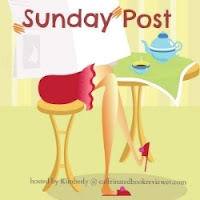 Love your Sunday post. I submitted my response to your next book. Enjoy! Thanks for voting! I hope you have a great week, Debbie! 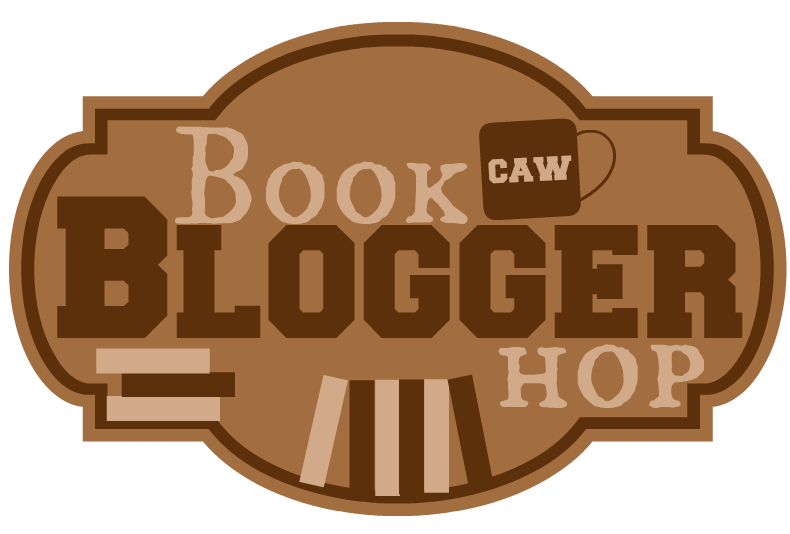 It's probably easy to guess on which of the books I voted, the cozy mystery one! My boyfriend also reads, not as much as I do, but he does read and we often talk about books with each other. Looks like you got some nice weather, we've got a mild winter here and it's even been sunny a few days. Have a great week! I love being able to talk books with my husband. Oh, yes! The weather has been wonderful. We're heading out for a walk soon. I hope you have a great week too! Lost Under a Ladder looks so cute. I hope you enjoy the winner! Oh, golly yes - you can only read so many missing children books before you become so paranoid that you can't let your child out of your sight! Mine are all grown and I still worry that Miss H will get snatched walking to her car one night after work! Lisa - I hate that we worry like that, but we do. I should probably avoid books involving children for awhile for my own piece of mind. I understand what you mean about the missing-child books. I had to stay away from them when Robin was young -- I was bad enough about not letting her play outside unsupervised, without adding to my worries by reading fiction about abducted children! Even now, with a grown daughter in college, I still can't bear to read them. I really should stay away from the missing children books given how they affect me. I don't know why I torture myself that way. I hope you have a great week too! And thanks for voting! What She Knew and The Girl in the Red Coat both sound interesting to me. Maybe it isn't a bad idea to take a break from reading about missing kids! A dragon story sounds pretty good to me! Christina - I enjoyd them both, and am glad I didn't read them back to back. Still, maybe a little too close together though . . .
My husband does not read at all and it makes me very irritated!!!! Mystica - I am glad my husband does read. He may not read as often or as much as I do, but he has other solitary hobbies that don't make me feel guilty when I want to read and he doesn't. My husband does not read at all and I really don't know how we ended up together. I mean, not at all. Ever. How can that be? I've given him non-fiction books of interest but nope, won't read those either. He says that reading is boring. My daughter says reading is boring sometimes. It makes me sad. Nicole - Thanks for the link, Nicole! I will check out her books. :-) I have the first in her Iron Fey series in my TBR collection, I think. My kids are just waiting for soccer to start back up! My son asks when spring is almost every day. Lol! Sounds like you had a great week of reading. Hope this week goes just as well for you! Samantha - I imagine you will be glad for Spring too, if only because of the warmer weather. :-) I hope you have a great week too! These kids are growing up too soon! I absolutely don't want to think about it. Did you say kindergarten? I just cannot read books about missing children or dying children. Too difficult. And to think I would read anything before having Shreya! Athira - It's amazing how fast. Looking at photos of her just a year ago, she's already changed so much. I find books about dying or abused children very hard to read. Missing children too, although not quite as much. I just registered my daughter for middle school, and that was tough! I miss those kindergarten days, though I'm very proud of the young person she's become. Thank you for voting! I am trying hard not to look at the results early. I have a feeling though that's a popular choice. :-) Good thing I want to read it. It's so nice to have a spouse who has the same interests and passions you do! And you guys even met through books! How great is that? You are very lucky!! Of the three books you've listed here, I really like "Delia's Shadow". I LOVE that cover! So maybe you should read that one first. Maria - I used to take part in the Sunday Salon posts, but when my daughter came along, I had a hard time posting on the weekends at all. So often my Sunday posts were written at the last minute. I'm trying it again this year. So far it's working out. Delia's Shadow does sound good. I love San Francisco too, which is an immediate draw. Shaina - I haven't worked out once this week. :-( I got so little sleep Sunday night, I didn't have it in me to cut that even more by getting up early. And then this morning I was just too lazy. Not a good exercise week. :-( I'll do better tomorrow. How time flies huh! I can't believe Mouse will be in kindergarten soon. Where did the time go? I look forward to seeing which book wins! I still plan to read them all eventually as they all sound good. The Girl in the Red Coat sounds really good and is new to me, though I too have read a couple of missing child stories recently and wonder if there is a trend. Enjoy your week-- great post today! I am in the process of polishing off my review of The Girl in the Red Coat and plan to get it up next week. If you do read it, I hope you enjoy it. Missing children does seem to be a current trend, doesn't it? I hope you have a good week too. Sarah - That one sounds like it will be good. I am glad to hear you enjoyed it! I hope I will too! I voted on Delia's Shadow. I think that one sounds good! Michelle - I think it does too. I can't wait to see who wins! Thank you for voting!